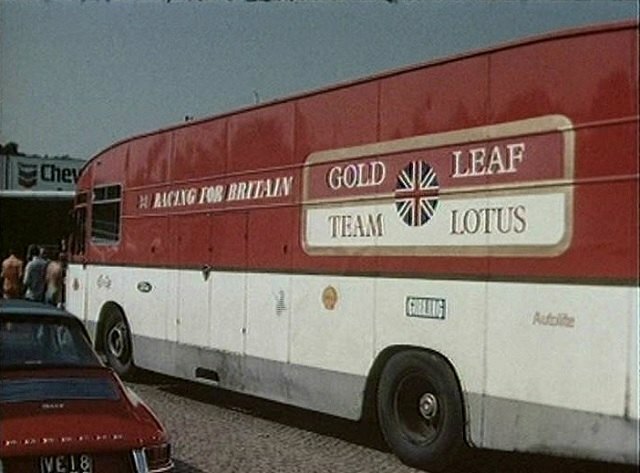 IMCDb.org: 1967 AEC Swift Gold Leaf Team Lotus in "British Legends of Motorsport, 1991"
"1967 AEC Transporter - AEC-Gold Leaf Team Lotus Formula 1 Truck, built on an AEC Swift chassis and originally registered LVF 480E. It was rebuilt by the team in early 2005." 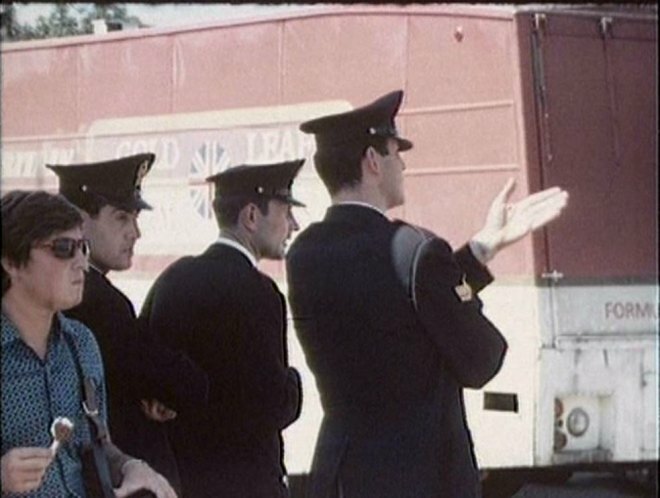 - https://www.flickr.com/photos/brimen/3127551325 , https://www.flickr.com/photos/brimen/3128393004 , Link to "www.busweb.co.uk"